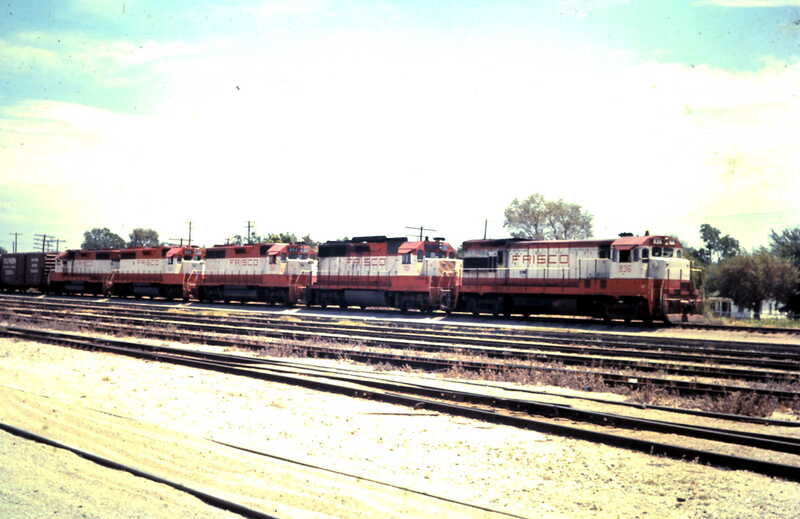 U30B 836, GP35 701 and GP38AC 654 at Oklahoma City, OK (date unknown). 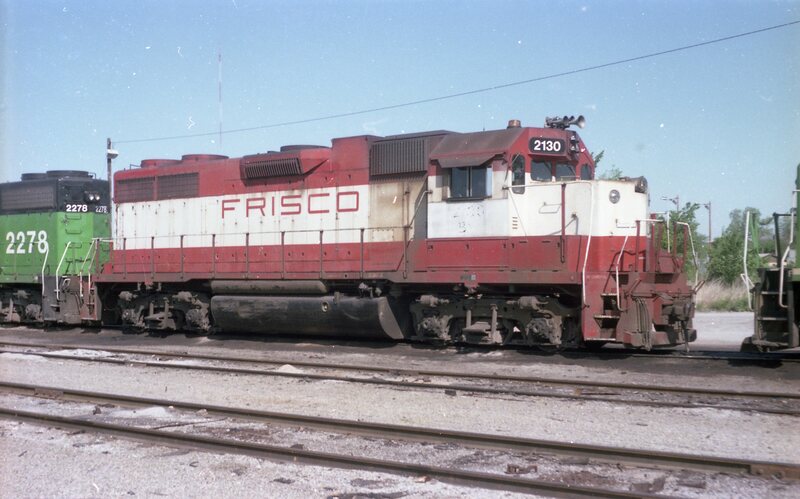 Oklahoma City crossing High Street traveling west bound on the mainline. Next stop Yard Office. 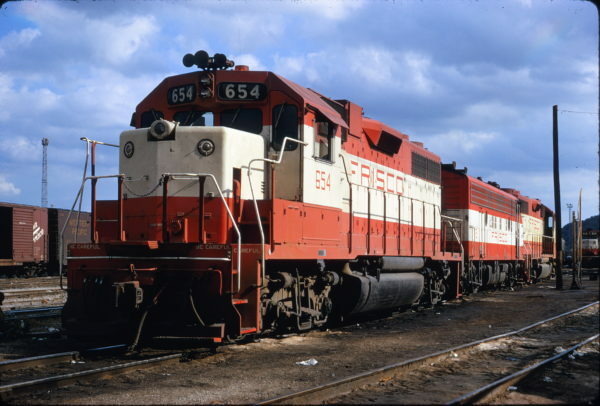 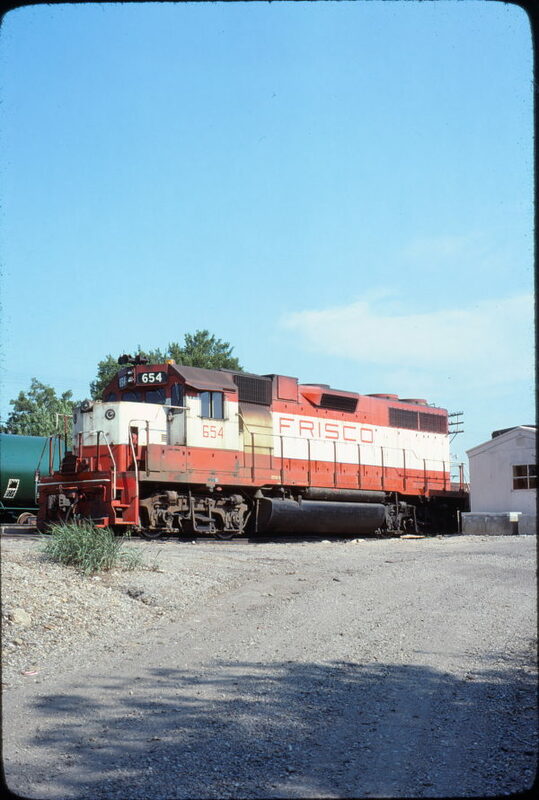 GP38AC 654 at Tulsa, Oklahoma on July 13, 1972 (James Claflin). GP38AC 2130 (Frisco 654) (location unknown) in 1981. 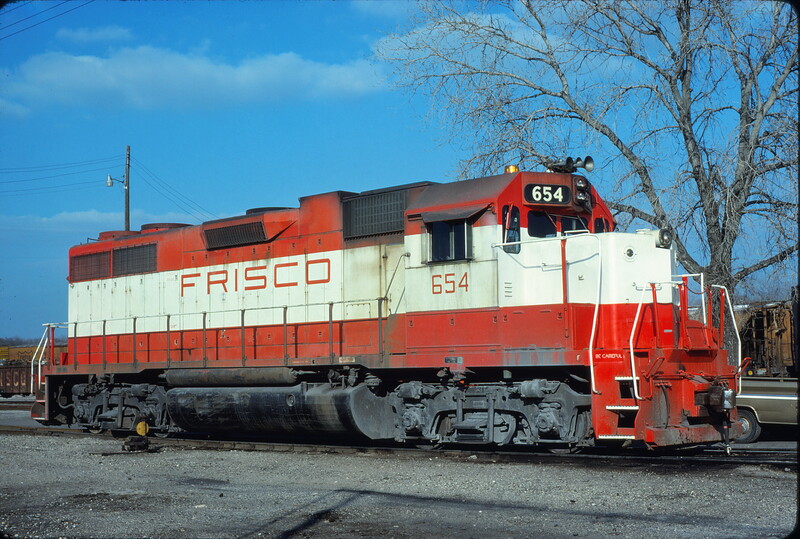 GP38AC 654 at Forth Worth, Texas in February 1980 (Bill Phillips). GP38AC 654 leads a train at Tulsa, Oklahoma on May 19, 1980 (J.C. Benson). GP38AC 654 at Okmulgee, Oklahoma in September 1977 (David Stray). 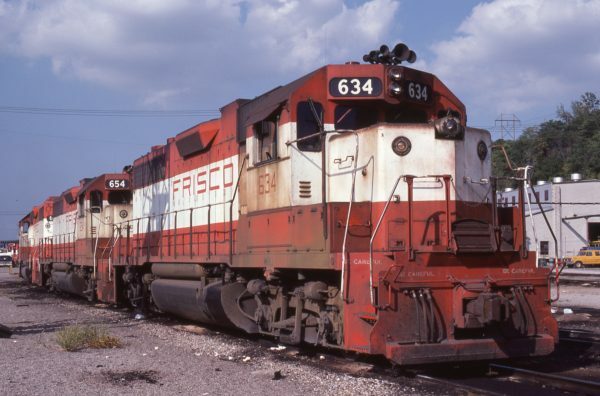 GP38ACs 634 and 654 at Kansas City, Missouri in September 1978 (G.R. 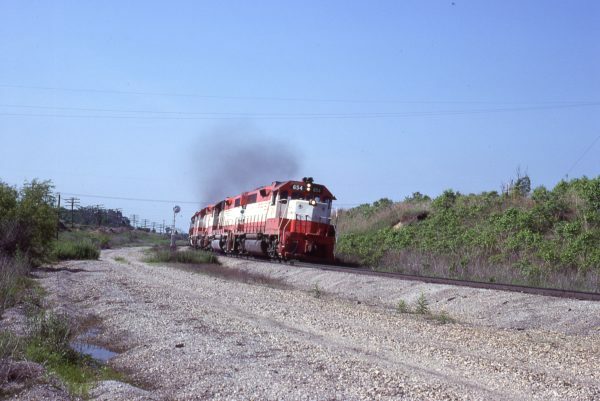 Cockle). 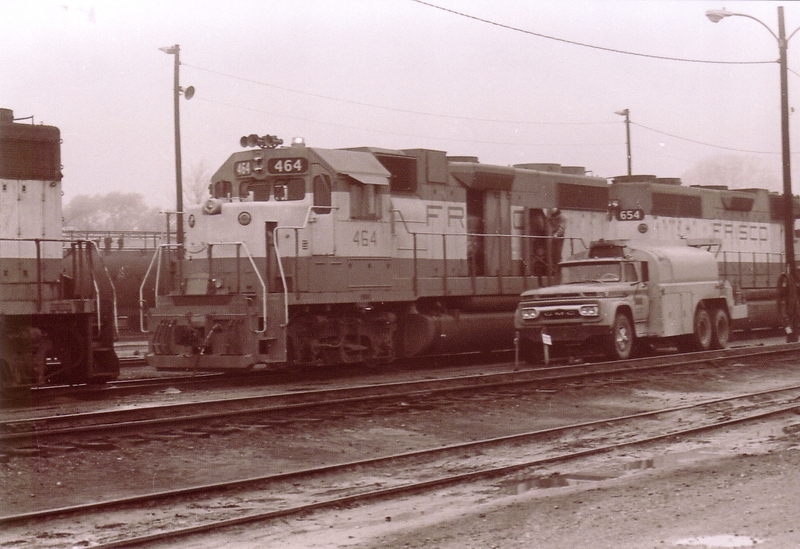 GP38-2 464 and GP38AC 654 (date and location unknown).